If you’re planning a special occasion in Manchester and the North West, then Opulence Executive Travel Manchester limo hire could be just the thing to turn your event into a truly memorable experience. Imagine arriving at your venue in true VIP style, travelling in a luxurious and spectacular stretch limousine. A ride in a luxury limousine is not just a journey; it’s an event in itself! Our top-class Manchester limo hire service is available for all occasions, from weddings and birthday parties to nights on the town and shopping trips. Bespoke, private luxury limo hire service tailored to your needs, whether it’s just to one destination or a full itinerary of several locations in and around Manchester. Full door-to-door service upon request. Our expert driver will collect you from your chosen location and return you home afterwards. Alternatively, you may only want a one-way journey to make that all-important head-turning entrance at the destination of your choice. Comfortable, safe and luxurious travel in the hands of a highly trained, competent and courteous driver. Our highly trained chauffeurs have expert driving skills to ensure a smooth, safe journey for maximum comfort and enjoyment. They also have access to the most up-to-date traffic information and in-depth knowledge of Manchester and the Greater Manchester region. So you can relax with a cocktail, ice-cold drink or a chilled glass of champagne with the peace of mind that you’re in safe and secure hands. 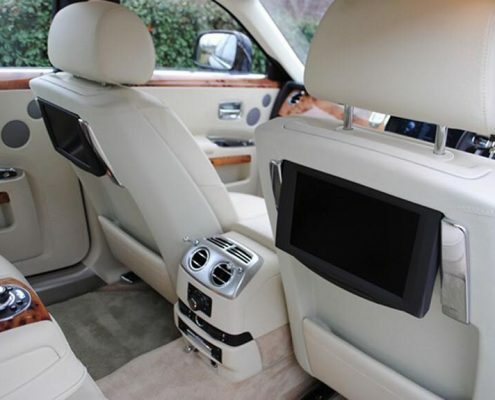 Transform your special occasion into an unforgettable experience with Opulence Executive Travel Manchester limo hire. For booking information, call us today on 08005 202 030 or contact us.